For entertaining, we make pizzas. When we’re in the mood for comfort food, we make pizzas. When we want something homemade that doesn’t take long to prepare, we make pizzas. I have great memories of making homemade pizzas with my dad when we were younger, and my dad and I still share a love of homemade pizzas by texting each other our creations from 800 miles apart. These days he makes the recipe I’ve perfected and taught to him; I love that he enjoys it so much. 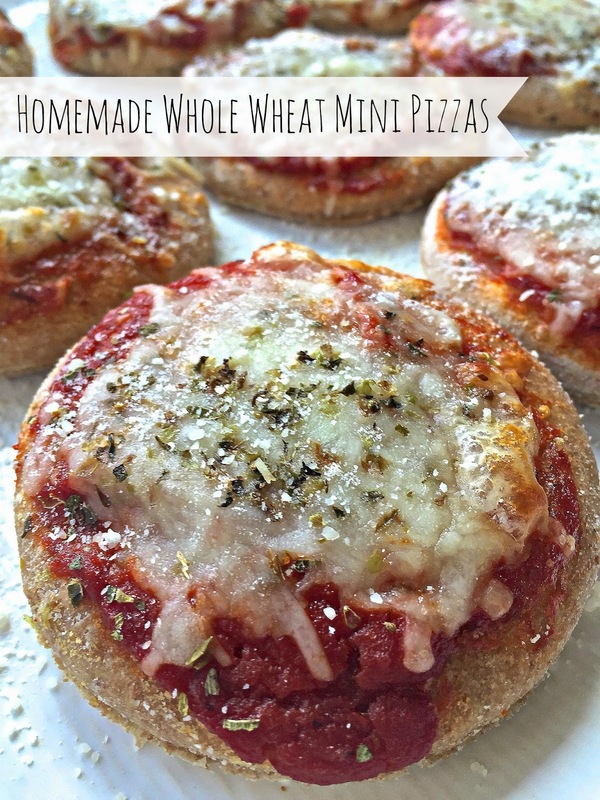 For dinner last night I wanted to try my hand at mini pizzas. Not only were they easy to make, but they were delicious! Jamie may or may not have eaten a half dozen of them, and my not-so-great little eater also surprised us by eating all but one bite that she wanted to share with Teddy (sigh). Fun idea for families or friends: Create a pizza bar by allowing each person to top their own pizza(s) with ingredients of their choice. Pour yeast and sugar into warm water & let sit for five minutes. Add olive oil to wet mixture and then add wet mixture to dry mixture. Stir ingredients together and then knead dough by hand until a soft dough ball forms. If the dough is too firm, add a tablespoon of water at a time. If the dough is too sticky, slowly add an 1/8 cup flour at a time. Cover bowl with plastic wrap and allow dough to rise at room temperature for at least one hour. The dough will double in size. On a surface lightly covered in cornmeal, roll out dough until thin. 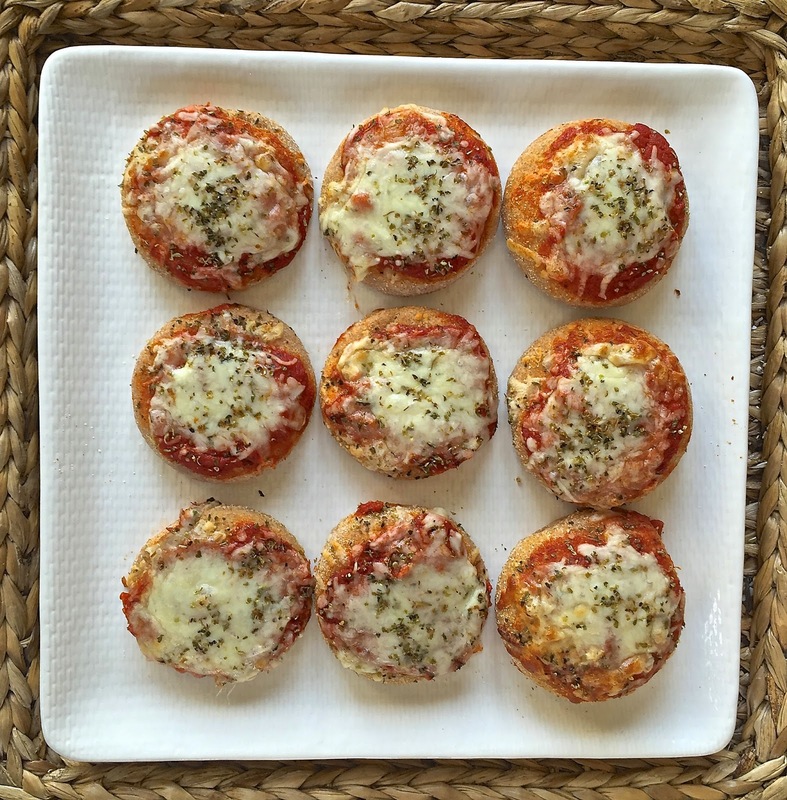 Using a cookie cutter, cut out mini pizzas and place on pizza stone. 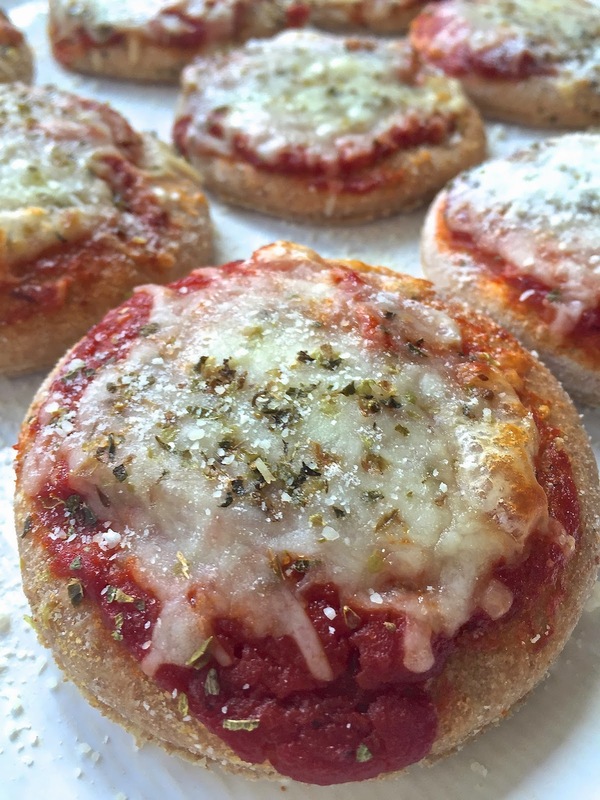 Lightly brush each pizza crust with olive oil and dust with garlic salt. Top with tomato sauce, toppings of choice, cheese, and oregano. Bake for 12 minutes until cheese is melted and crust is lightly brown. Note: For busy families, the dough can be made the night before. Simply make the dough, let it rise at room temperature, and then tightly double-wrap the dough ball in Saran wrap and place in the refrigerator or freezer.